Want to get your kids excited about reading and writing? 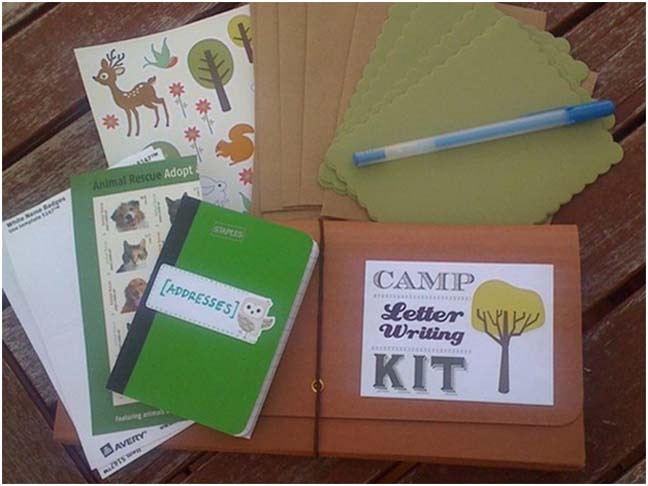 Make them a letter writing kit! They'll have a blast writing to their pals and getting their own mail in return. These kits are all the rage on the web and we've rounded up a few great examples to get you inspired. 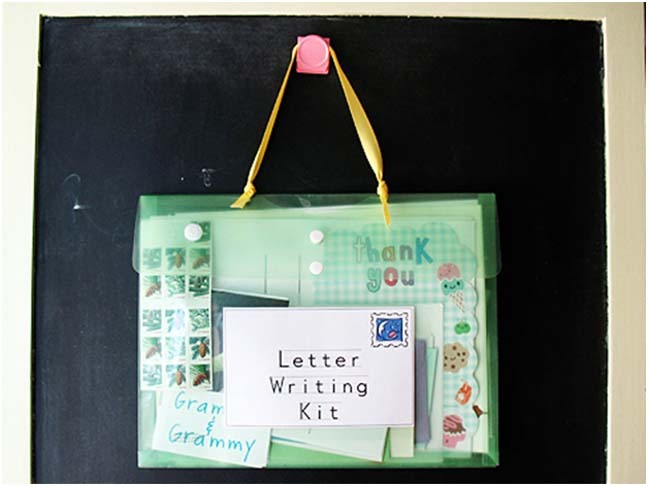 This one from Simple Kids has lots of cool components including "helpers" that cue the kids on who to write to and what to say. Check out the full post for all the details. This kit was made specifically for sleep away camp by one super special auntie. 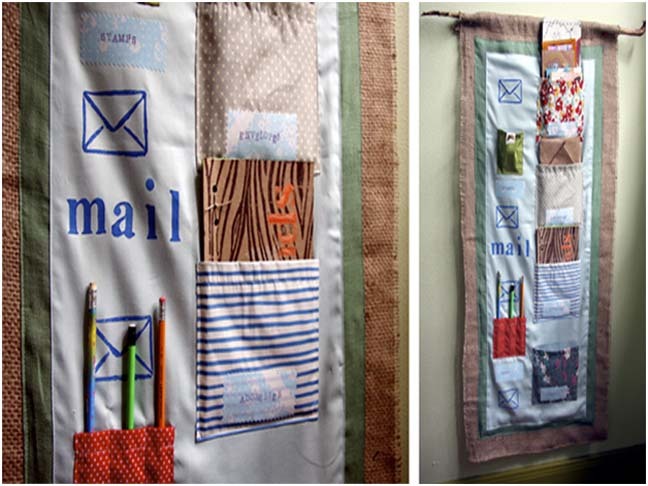 Finally, for a more permanent option, check out this tutorial on how to make a fabric mail center. Hung on the wall, this will be a great reminder to keep the kids writing.